Back in 2012, I signed with HubSpot after a renewed interest in content marketing for our agency. We were doing some for clients, and they were seeing the benefit, and I didn’t want us to be left out. At the time, I would never have considered hosting my company website on their dreadful, over-complicated content management system. Mailchimp was working really well for us, and I wondered if HubSpot would have the same high deliverability rate as Mailchimp (I still love Mailchimp and proudly wear the t-shirt they sent me after writing this post). I knew I was wasting time jumping from one social media platform to another, but I was comfortable with it. I was a Google Analytics wonk. The HubSpot reports seemed too simplified for me. Let’s face the big issue here. I had never paid $800 per month for marketing software (or anything close to that). That payment was tough for me to part with every month! When you make an investment like that, though, you use it. A lot. And what I found pleasantly surprised me. Want to know if HubSpot is right for you? Already have HubSpot but want to use it to get real ROI from your marketing? Need help using it more effectively to maximize your investment? Traditional media has trained us to spray a message, wait…and wonder if it worked. Then, if you’re like me, you wondered if you were measuring the right things. Also, all of the email, social media, blogging and website tools I was using didn't "talk" to each other, so there was some guesswork when it came to reporting. I like HubSpot’s simple attribution reports. I can tell in 10 seconds how many visitors, leads and customers we got from email, social, SEO, paid search and other campaigns, and drill into each if needed for more detail. I can see which call to action graphics and links get clicked on the homepage and test them against other versions to know beyond a shadow of a doubt if they work. I can see which pages they work on, too. I can track the overall conversion rate of my website to see what percentage of visitors become warm leads, and then see where visitors and leads are to last month, year-over-year and progress toward my goal on one screen. I can see submission rates (conversion rates) on our landing pages and measure the impact of changes. I can see our SEO keyword portfolio and track how rankings change over time as we blog and publish content. HubSpot helps me craft mini case studies to know that my marketing is working. Seeing those small wins on a regular basis reminds me that the investment is worth it. If you’re doing any online marketing today, you know exactly what this problem looks like. You’ve got a spreadsheet to keep up with logins for your website, social media profiles (personal and company profiles), email marketing, your CRM, Google Analytics and more. Whew. While all of these tools certainly do the job and are a lot cheaper than HubSpot (we’re on Professional), they aren’t truly integrated. You have to do a lot of work to find out if a specific person on your mailing list in Mailchimp actually filled out your landing page or see what web pages that person visits after the email is clicked. That all changed when we started using HubSpot. Because email, social media and web analytics are all tied together, it’s easy to see who’s opening and clicking, then follow that specific person page-by-page through our website. A timeline of all of their marketing activities – emails they’ve been sent, what they downloaded, what web pages they’ve visited, etc. are all in one place, and each individual lead can be attributed to a source. It’s just easier, too. I log into one system to schedule social media posts, reply to social media, write blog posts, manage our website, send email and more. Oh, did I get your attention? I designed websites for 3 years until I hired someone to do it for us. You’d think that I’d be able to change things on our company website, but I was more comfortable having someone on our team do it. We needed to create new page layouts for some of the things I wanted, and it took us weeks in some cases (I know, right?). If you don’t like your content management system, you’re not alone. I promise. As I mentioned earlier, HubSpot’s CMS was pretty bad back in 2012. That all changed with the Content Optimization System (COS for short). HubSpot can manage most any website, even some rather technical enterprise-level websites. The user interface is a breeze, and it gives me recommendations for page optimization, including SEO. It gives it to me in layman’s terms and gives me some context for the recommendation, too. As a business owner, that advice comes in handy at 10pm when my brain has shut down and I forget what I know about SEO. HubSpot has made some serious investment in content delivery, too, that you’ll only notice when you see how fast your website loads on the platform. It beats Wordpress when it comes to performance every time I’ve compared the two; even with Wordpress cache plugins like WP Super Cache. It’s not even close. While traditional marketing approaches, or just buying a list, can generate many leads, the number people who actually want to talk to you is often low. When we talk with sales reps, they tell me that they spend a lot of time reaching out to people that don’t want to talk to them. Cold call success rates are low even for cold call masters. I don’t cold call because I know that it would yield little success for a high time investment. But because we produce a lot of content, we attract an increasing amount of people to our website. They fill out lead forms to download things, and we get good feedback from it. But if I called all of our leads, maybe 5% would be interested in buying something. 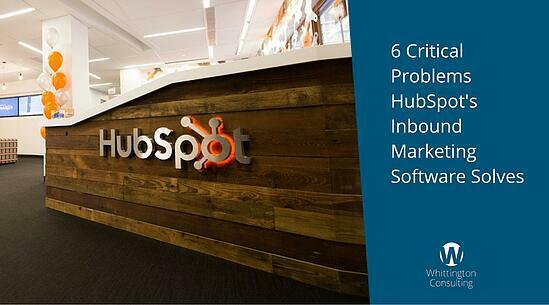 That’s where HubSpot comes to the rescue. I automate much of our follow-up via email. Rather than waste my time calling everyone, I’ve built automated email workflows in HubSpot to “drip” messages and engage leads. As I’m researching our leads, I can see what emails they were sent, which they opened, which they clicked, and what pages they visited on our website. I’ve set up lead scoring and alerts that tell me when behavior indicates that someone might be interested. I spend my time calling and emailing people that are actually interested in a conversation. 5. "We don't follow up with any of our web leads unless they 'contact us'." I've been there. Once you start inbound marketing and content marketing, web leads start to come in -- those that download whitepapers, ebooks and other things. But these aren't people that fill out the "contact us" form or request a phone call, so many companies are hesitant to reach out. Whether marketing or sales should be in charge of the outreach is often a question. Some businesses have sales people that will want to do their thing. Other sales people want to spend time working leads that "raise their hand" by first initiating the sales process. HubSpot allows you to automatically kick back a follow up note via email using the Workflow feature. This doesn't need to be a fancy, well-designed email, but rather a text only note introducing a key member of your team and asking your lead if the download worked and if they needed to speak with someone. These emails can be customized for all of your content, so you can write a relevant email that is specific to the content someone has downloaded. You can even set up lead scoring with HubSpot so that if someone browsed a certain number of pages on your website, you can also automate another email to someone on your team to follow up with the most active leads. Penguins, Hummingbirds and Pandas oh my! HubSpot's Website Grader has analyzed over 25,000 websites, and the average SEO grade for those websites is D-. It’s getting difficult to stay current with SEO trends. If you rely on your company website to deliver new visits to win new customers, not staying current can cost you a little or a lot. For me, I run our business, and I do sales and marketing. Staying current with SEO is a small part of my job. It probably is for you, too. HubSpot’s no-frills keyword research tool helps me quickly identify new keywords and see how competitive they are. Then, once I add it to my keyword profile, HubSpot will give me real-time SEO keyword advice when I write a blog or publish a web page. 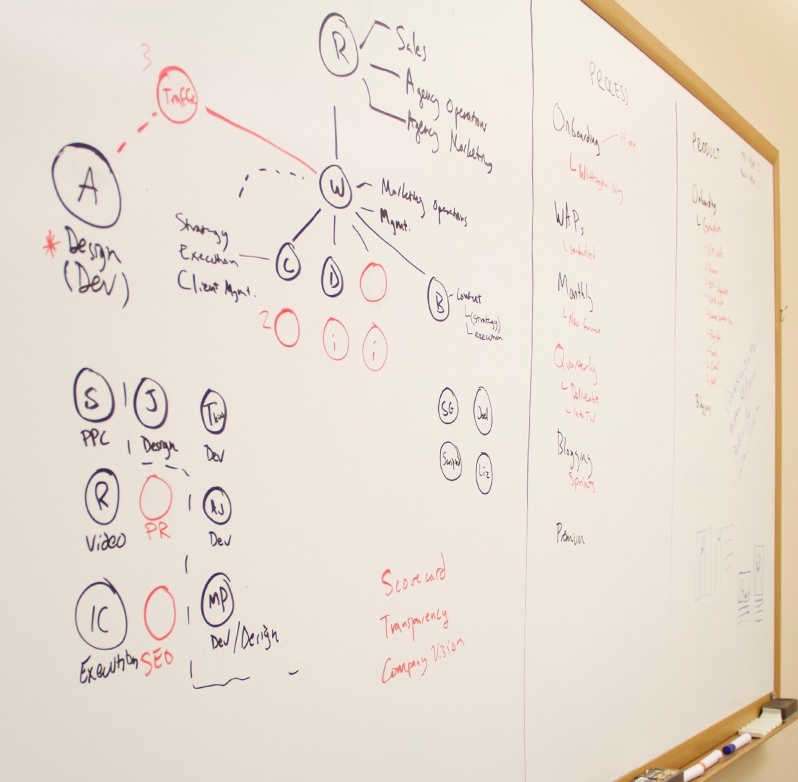 Your website doesn’t have to be on HubSpot to get SEO advice, though. The Page Performance tool will give you a grade for every web page with actionable optimization advice – even if the page isn’t hosted on HubSpot. For me, I liked HubSpot so much that we decided to become a HubSpot Partner Agency. We’re in their top 10% of agency partners. But I know there are other options, and I know you’re looking at those and comparing costs, too, just as I did. HubSpot may be a good match for you, or maybe there’s a better option. How will you know? If you’re going to invest in marketing software (or even CRM/sales software), you might benefit from talking to a HubSpot partner that can assess your situation and see if it’s a fit. If you’d like to understand if the software is a good match for your needs, talk to a partner. If what you read above is similar to your situation, let’s talk. If you bought HubSpot already and need help implementing the system effectively to get better results for your company, we’re good at that, too.